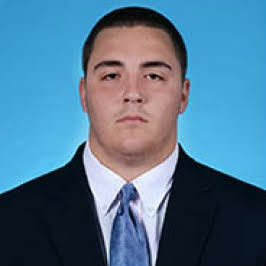 Offensive guard Jared Cohen (Owings Mills, Md.) has announced he will transfer to Virginia for his final three years of eligibility. Cohen has signed grant-in-aid paperwork and will enroll at UVA following the spring semester. Cohen played in 13 games as a true freshman at North Carolina in 2014, including starts against Clemson and East Carolina. Cohen opted to not return to UNC for his sophomore season, sitting out the entire 2015 season. Cohen saw time at both guard and tackle at the McDonogh School. Rivals.com listed him as the No. 14 offensive guard in the country and the No. 6 prospect in Maryland. He was rated the No. 22 offensive guard in the country and No. 10 player in Maryland by 247sports.com and considered the No. 33 offensive tackle in the nation by Scout.com. Cohen played in the Chesapeake Bowl, a postseason all-star game for players from the Mid-Atlantic region. He was a two-time all-state and all-conference selection. Cohen was named first-team All-Metro by The Baltimore Sun.